Why waste money on a copywriter? You know your product inside out. Plus, you’ve an English qualification. And you write emails and reports every day. You’re sure it only takes a matter of minutes to dash off a webpage. If you don’t have time, your website designer or someone in your marketing department can do the job just fine. And if they can’t help, you can always reach out to a writer at a content mill who will knock out a 500-word blog post for less than the price of a coffee. The bottom line is this. There’s a reason why you market your business. You want to attract a clearly defined audience. And once you’ve done that, you want to drive profitable customer action. So yes, you’re right, it’s easy to put words on a page. But to achieve your marketing goals, you want words that sell… And that requires an altogether different mindset and skill. My point it this. Professional copywriting gets you results. On the contrary, bargain basement copywriting doesn’t. So what is a copywriter anyway? A copywriter is similar to a salesperson. It starts by researching its client’s audience and seeks to understand its problems. But that’s not all, a copywriter digs deeper to find out what pain the problems cause your audience and the consequences of not resolving them. After that, it communicates the value of solving problems with your recommended solutions. Whereas a salesperson conducts conversations face to face, a copywriter conducts them with words on paper or digitally. Unlike a web designer, graphic designer or a marketing department employee, a copywriter doesn’t just wing it. A copywriter follows a systematic and proven approach. How does a copywriter get results? Copywriters understand buyer psychology. In particular, the fact that people buy on emotion and justify with logic. What can you expect from hiring a copywriter? To begin with, you can expect clear messaging in a language, your audience understands. After that, consistent content creation so that you can build relationships and keep top-of-mind as a trusted supplier. Most importantly, more enquiries and sales. You risk your content reading like a school essay or a business report. Or if you’re too close to your business, you risk writing more about your product than what’s in it for your customers. Worse still, you risk leaving your audience with more questions than answers. 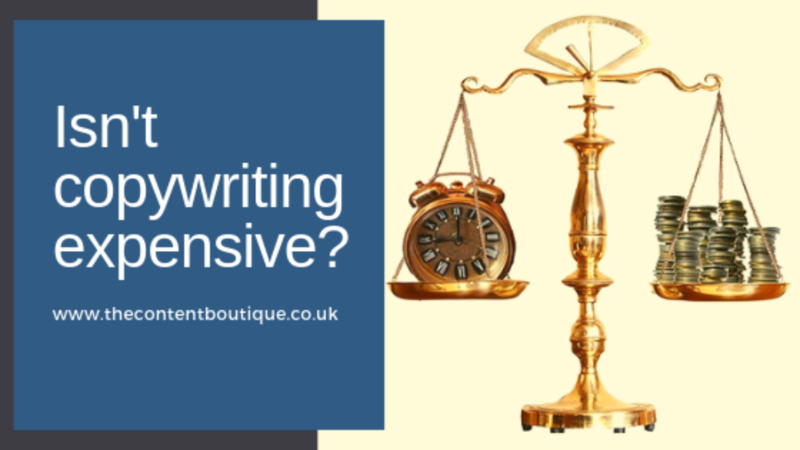 Yes, but isn’t copywriting expensive? Remember, writing is only part of a copywriter’s job. Copy that delivers results is only as good as the research put into it. And a copywriter’s extensive editing to fine tune it. You can quickly throw words together and put them on your website, your emails and your blogs in the hope that they’ll gain attention. Or you can hire a copywriter to write words that ooze value and be jam-packed full of reasons why your reader should buy from you. Yes, copywriters are more expensive. If you’re interested in hiring a copywriter to hammer home your value proposition and drive enquiries and sales, drop me a line and we’ll set up a time to chat.